I grew up kitchen composting. I remember my Mom shaving potato peels into a bowl and telling me how great they would be for our garden. Kitchen Composting has always been a great way for my family to make free, organic and environmentally safe fertilizer for our garden beds. In addition to reducing the waste going into landfills, kitchen compost creates some of the most beneficial food for our garden’s plants. Using kitchen scraps from fruits and vegetables adds important nutrients to flower and vegetable plants. Some of my favorite items to compost are: Coffee grounds, egg shells, banana peels, lettuce, and any other fruit and vegetable scraps. My children eat anywhere from 2-6 bananas a day! They already know the benefits of composting and put their banana peels right into the compost container we keep indoors. What can you compost? When thinking about compostable foods it’s important to remember that most cooked items, processed foods, meat and dairy will attract unwanted visitors to your garden. There’s nothing like having a bear or raccoon wreck your compost bin to remind humans that pancakes are not compost! Composting in the winter is easy; There are no fruit flies or bugs are around to bother kitchen compost. I typically keep compost in a bowl on our counter top and empty it daily into the compost bin, worm bin or right into the garden. In warmer months however, this type of storage is open to pests like flies, is unsightly and can smell and I knew I needed a container with a lid. It wasn’t until we got our cat about a year ago that I found an amazing kitchen container. I think Tidy Cats company was thinking of repurposing when they invented it! 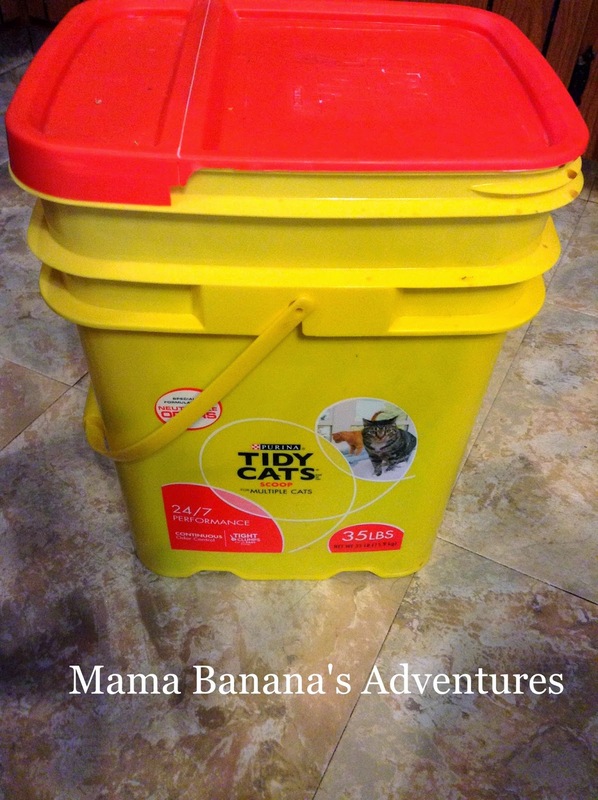 While we’ve tried pricy kitchen compost options like the compokeeper, but this re-purposed container is still my favorite kitchen compost bin. This container not only makes a great kitchen compost holder, but it also is a great little garbage can or recycle container. I bought this container specifically for this purpose! Reuse, reduce and compost!! While I may never totally irradiate the fruit flies that try to invade our kitchen compost, this definitely helps keep to keep them at bay. 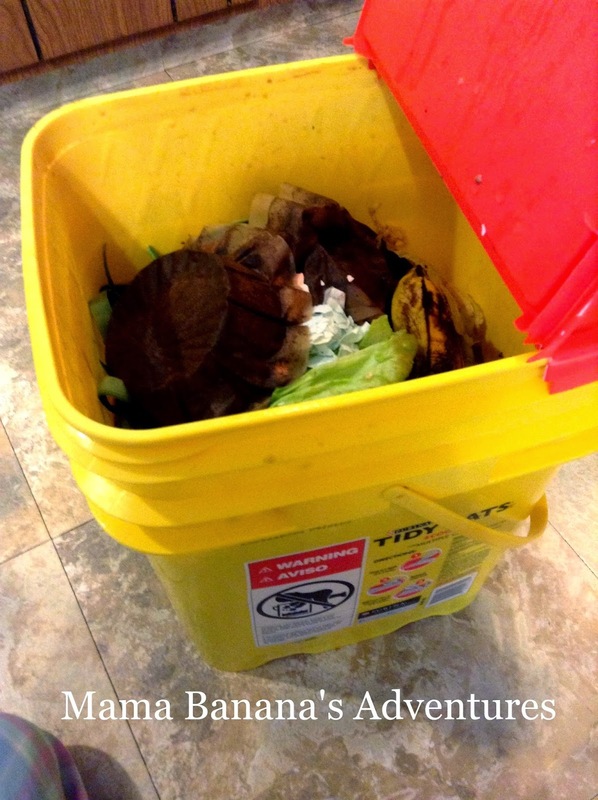 The lid and handle make taking compost outside easy and convenient. I rinse the bin out after each emptying and it easily fits under our counter top next to our regular trash. Where do you put the compost? I have a damaged trash can that’s being reused and repurposed as a worm bin. Kitchen compost goes directly into there, or sometimes I put small amounts of banana peels and coffee grounds directly into the flower beds. Both items compost quickly and provide an array of nutrients to our Pennsylvania zone 5 clay soil. When it’s ready I mix it right into our garden soil and our plants clearly benefit from this process. So what’s holding you back? 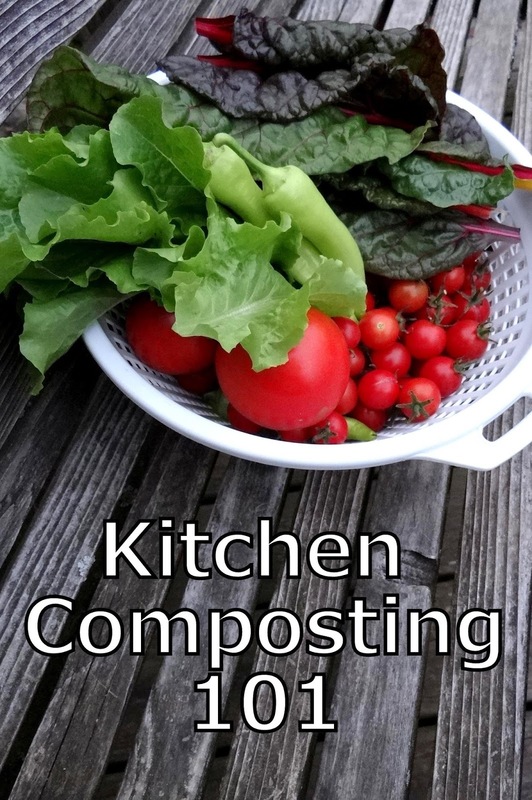 Start your kitchen composting today and fertilize your plants for free, with zero chemicals and better nutrients. I hope you are as thrilled with this idea as we are and as always…Thanks for stopping by! I really appreciate a follow on Facebook, Twitter, Pinterest, Instagram and love to network on Google and LinkedIn. Companies care about these numbers when deciding which bloggers to select to review products etc. So thank you for following! Disclosure; I have not been sponsored to write this post, this is my own personal experience and venture with organic gardening, consult a professional if you have any questions or concerns.